Box Wood belongs to you! After three years of negotiations, fund raising and administration, Box Wood has been purchased on behalf of the community. It will be ours for generations to come. For the first part of its life, in wealthier days, Box House could be approached from the south by carriages via a wide, private driveway, the lower part of which still leads to the original lodge building, now a private dwelling still known as “Box Lodge”. 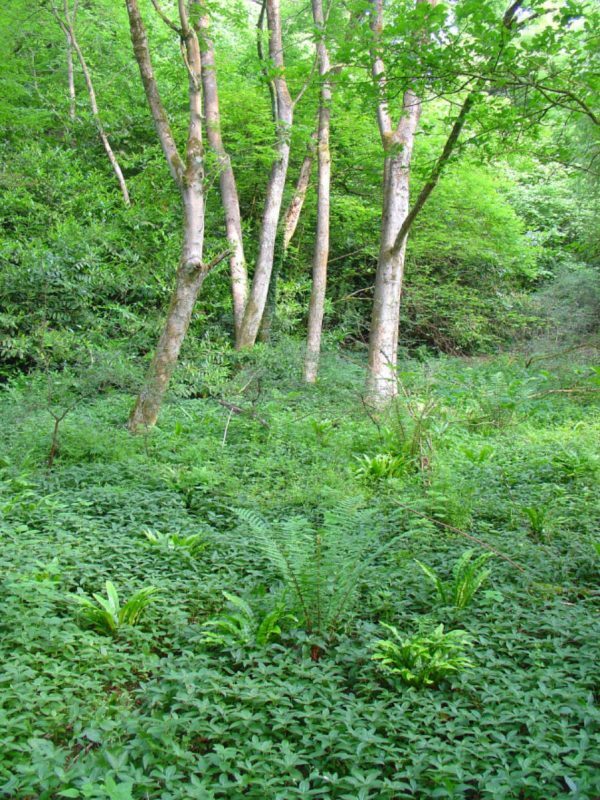 As did so many other grand estates, after World War I Box Wood was too expensive to maintain as a private garden and thereby became neglected and unmaintained, with some plots later being sold off for commercial use. 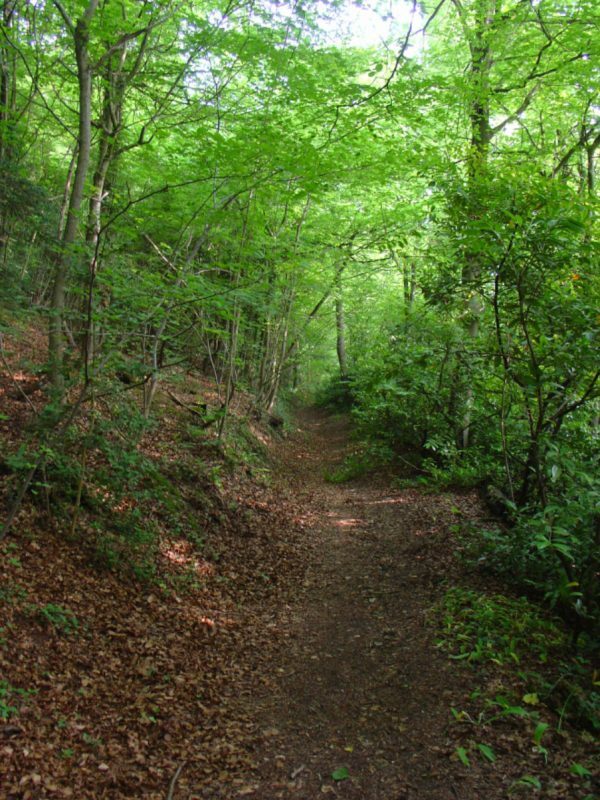 For at least 100 years, and probably considerably longer, Box Wood has been unofficially accessed by the public along numerous paths thought to have been created in the early 19th century by local mill workers walking through the wood to Longfords and Holcombe Mills in the Avening valley. In recent years two additional public rights of way running east / west across Box Wood have been officially recognised, adding to the long existing public rights of way. 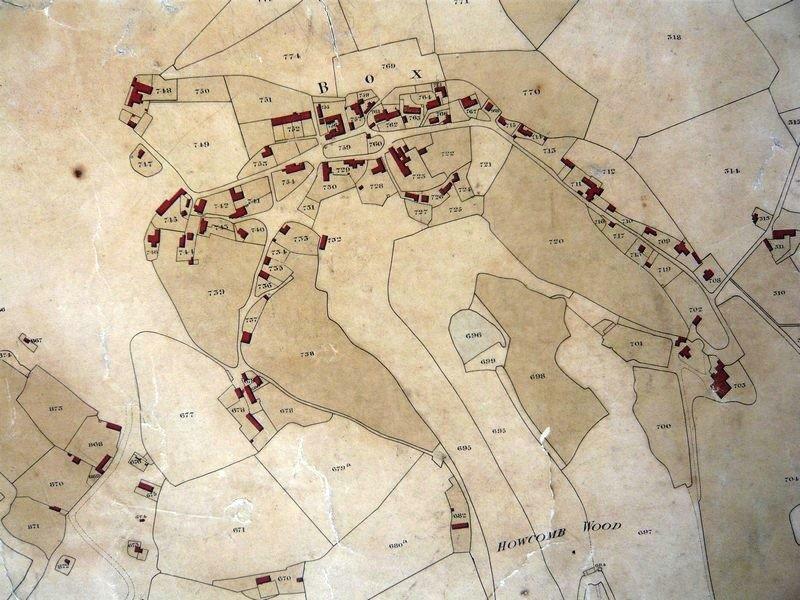 Box Wood has long been a valued amenity for the people of Box and their families, residents of Minchinhampton Parish and the surrounding area as well as visitors from further afield, but it was once part of the grand wooded gardens of a much larger private estate belonging to Box House. 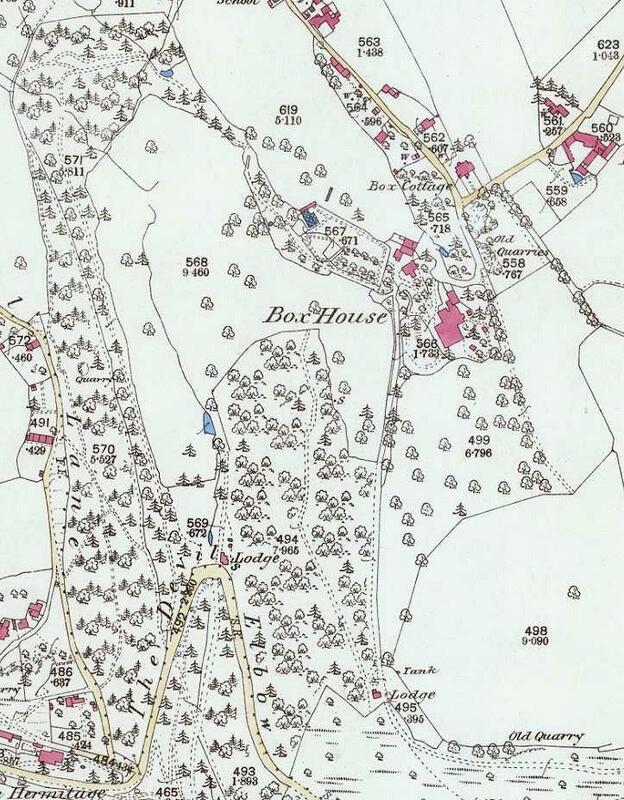 Box Wood appeared on the earliest 1830 OS map as Howcomb Wood, being part of the estate of what is now called Holcombe House (see first map below). On the later 1870 OS map (second map below) it would appear that the “Lodge” located in the lower centre of the map on Devil’s Elbow (now a residence known as “Wild Acre”) served as the lodge to Holcombe House via the driveway below running to the south. The second “lodge” shown towards the bottom right of the map, now known as Box Lodge, served Box House to the north, being near the lower end of a very long driveway which, at that time, extended approximately ½ mile from its start by the Old Quarry near Balls Green through the full length of Box Wood to Box House. Below the maps are two early photographs taken of the southern end of Box Wood. 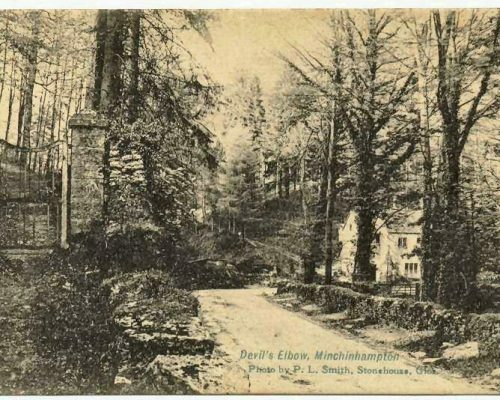 Two early photographs of the southern end of Box Wood, showing both the public footpath up to Box and also what was a gated, private entrance into the wood (now disused) leading from “Devil’s Elbow” (part of Pensile Road) through Box Wood and eventually to Box House. Although the old private footpath is now overgrown and will not be reinstated as a public entrance, the stone pillars of the gate still remain and it is hoped that these can be revealed and the gateway restored to its former appearance. 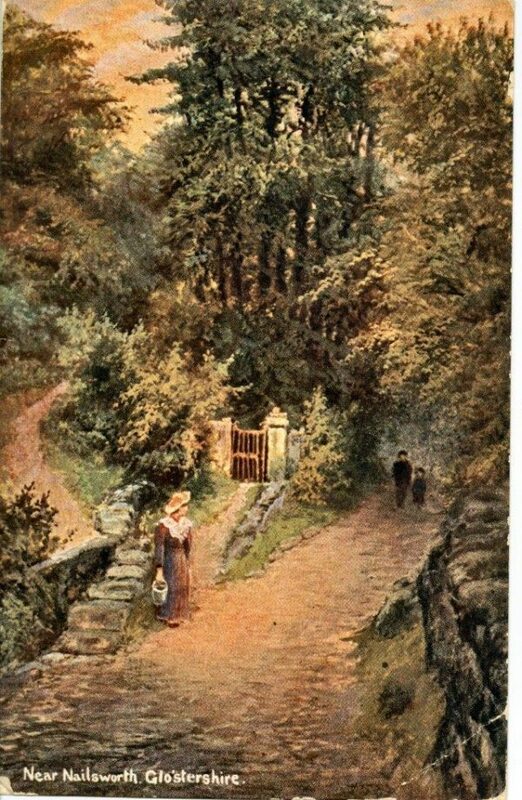 Several old photographs and postcards of this location still remain, although often referring to it as being “Holcombe Corner”, “Holcombe Wood”, “Devil’s Elbow” or “Pensile Road” or simply, as in this rather romanticised picture (possibly taken from a painting) “Near Nailsworth”.